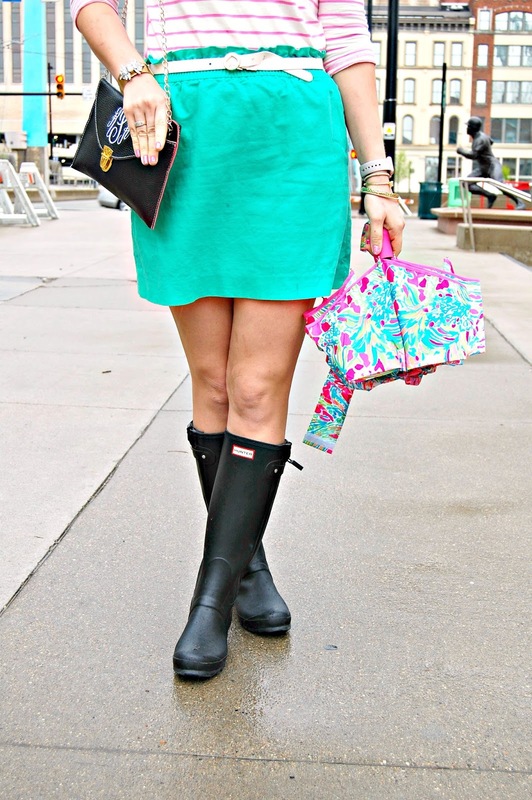 There are no rainy day blues when rocking a pair of hunter rainboots & spring colors. 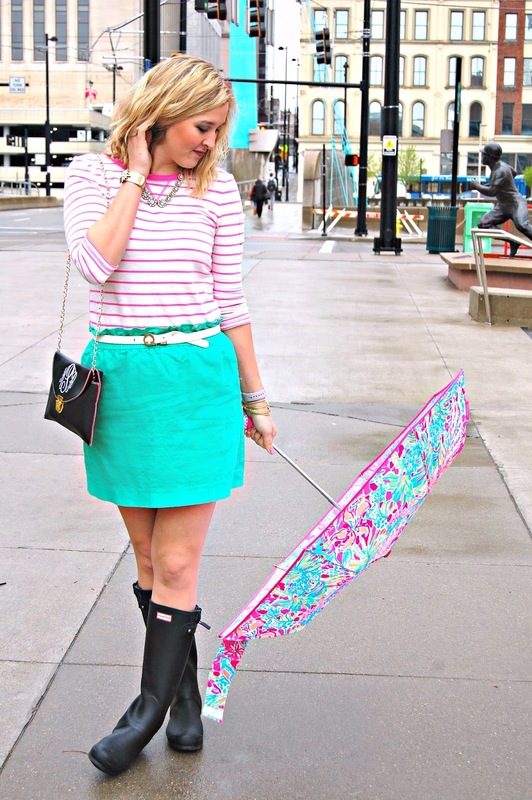 Throw in a new Lilly Pulitzer umbrella and I'm the happiest looking gal in cold, wet town. Hunters and skirts are becoming my go-to wardrobe pieces anytime there is rain in the forecast. A skirt like this one from J.Crew makes rain boots look totally work appropriate, which is necessary if you're walking through downtown like I do everyday. I definitely look like my mother in this picture and it's absolutely blowing my mind! Stunning, I love all the bright colours! This is such a fun and polished look! I adore those spring colors!